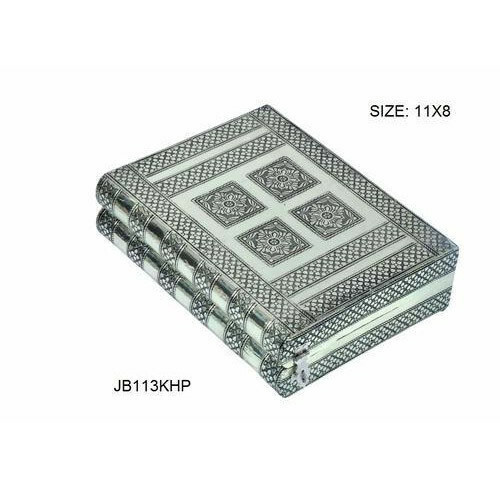 In line with clients' diverse requirements, we are involved in providing an optimum quality range of Antique Jewelry Box. Established as Partnership firm in the year 2016 at Rajkot (Gujarat, India), we “Kalanidhi Handicrafts” are a renowned manufacturer of a wide range of Bangle Box, Bullock Cart, Serving Tray, Steel Box, etc. We provide these products at reasonable prices and deliver these within the assured time-frame. These products are widely demanded by our clients for their varied associated attributes. Under the headship of “Mr. Jignesh Kumar Kapadiya” (Partner), we have achieved a noteworthy position in the market.